They infuse tap dance with swing music and witty banter. The Tap Pack is a taste of a new, highly entertaining act tapping up a storm. With credits on stage, film and television and with over 20 musical theatre productions between them, The Tap Pack is pure entertainment. A brothers duo consisting of energetic and extremely skilful footwork. They explore the connection that only blood has in a fun and masterful display of modern tap dance. Both Jack and Thomas have had internationally acclaimed accolades and put their skills on display. 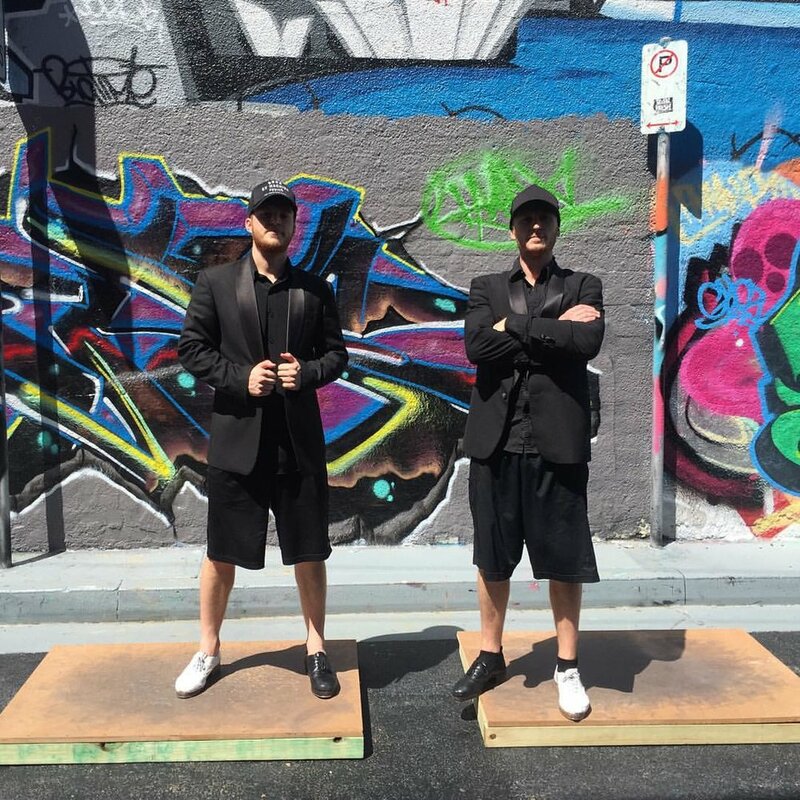 The Forge Tap Company is a contemporary tap dance company collecting all Australian talent to nurture and cultivate the art form of tap in Australia. The company commits to pushing the boundaries presenting inspiring works while maintaining the traditions and cultural aspects of tap dance. It continues Australia’s unique connection to tap and furthers its identity with it. We maintain respect to Tap as an American art form, while still using it as a medium for great Australian dance works. Their premier work ALPHA displays tap in all of its different forms. From swinging Jazz club , percussive hand and foot work, African rhythms and backed with some hearty Australian Jazz music. The Forge Tap Project is an initiative that creates projects including but not limited to workshops, masterclasses, dance films and shows. One of it's major projects is "The Forge Team", a group of 20 students from each Melbourne and Sydney that work together weekly, with the aim to train, create and perform. We attempt to set up our teachers as mentors for the team to give them a different learning experience, instilling them with some responsibility over their training and part in the team. All of our mentors are prominent Australian professionals. We tour throughout school holidays to bring workshops all over Australia to educate and inspire through the art form of tap. Street Feet is a collective of Australia’s best and most acclaimed tap dancers. A group of young men, combining together to create a raw, modern, Australian take on the art form of tap dance and other such street entertainment forms. The show whilst having a relaxed and approachable appeal is extremely hard-hitting and energetic. An all-male tap dancers crew inspired by the platform and rawness of street performing but heavily relying on an extreme level of ability and performance value. The show has the ability to expand utilising other such dynamic street forms as bucket drumming (percussion), juggling, comedy and break dancing.